The Moseby's New Groove part 1 - Opening/"Perfect World"
Do u like Chel and Kuzco? Who makes the best Emperor? de keuze van de fan: Why do we even *have* that lever? Do u think that Kronk is hot? de keuze van de fan: A bit..
a comment was made to the poll: Which award did The Emperor's New Groove definatly deserve to win? a comment was made to the poll: Is this your favourite Disney Movie? a comment was made to the poll: Which do u like better? 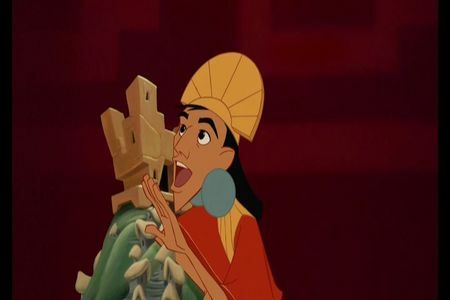 What's the name of the project Kuzco is planning to build on Pacha's Hill?